With fracking all over the headlines in the last week or so, the Guardian has helpfully collated a letters page on the issue (link). The content of these letters usefully highlights many of the myths and misconceptions about fracking. This in turn inevitably leads to me getting angry, and therefore writing a blog about it (much like the credible hulk I imagine). It beggars belief that fracking is recommended to be extended and earthquakes the only risk taken into account (Gas fracking gets the green light, 17 April). Other risks are not just theoretical; appalling consequences have already happened on a wide scale in the US. Fracking has been carried out in rural areas where people's off-grid water supplies have been made unusable by pollution. There have been cases where people cannot use water from the tap at the kitchen sink because methane comes with it, with the risk of explosions. Only half the chemical-laden water used in the process is recovered. It is then kept in lagoons on the surface where it is allowed to evaporate volatile toxic chemicals into the air. We cannot afford the risk to our water supplies. We don't have the open spaces which have been affected in the US. Even now we are faced with water restrictions and drought. We don't have the necessary huge quantities of water available to be used and made dirty for ever. The landscape would be dominated by well heads spread out over the whole gas field. It is likely that the air around these installations would be polluted by volatile toxic emissions. Come back wind turbines, all is forgiven. By 'appalling consequences on a wide scale' I assume the writer means 'one confirmed incidence of a contaminated well (Pavilion, WY), and one possibly contaminated well (Dimock, PA) which has now been remediated'. These two incidences from the tens of thousands of fracked wells in the US. Hardly appalling consequence on a wide scale. The second point, 'we don't have the necessary huge quantities of water available to be used', nicely exposes a common fracking myth: it takes something like 0.5 - 3 million gallons of water to frack each well. This sounds like a lot, and in these drought-ridden times, do we have enough water to frack all these wells? As ever, though, the key is in the context. The total leakage rate reported by water companies in the UK last year was 3295 million liters (660 million gallons) per day. Per day! If you're worried about water shortages, I'd be writing to your water companies if I were you: you could frack 200 to over 1000 wells per day on the amount of water lost by our utility companies every day. So I'll rewrite the statement. Fracking a well takes 0.5% of the total water lost through leakage in the UK in a single day. For sure, not to everyone's taste, but plant a couple of small trees or a large hedge next to them and they're hardly a blot on the landscape. If you're going to come out as anti-shale-gas and pro-wind on the basis of 'blots-on-the-landscape', I'd suggest you'd be more than a little confused (for the record, I'm both pro-fracking and pro-wind, I think both will be important for our energy futures). The Department of Energy and Climate Change report recommending that shale gas exploration be allowed to continue says nothing about water and air pollution, nor the consequences of shale on renewables and our efforts to tackle climate change. The UK is the richest country in Europe in renewable energy potential, but the new focus on gas threatens to displace investment in those renewables, making it even harder to achieve our targets and nurture this jobs-rich sector. A number of studies have shown the overall climate impact of shale gas to be as great as that of coal. If carbon capture and storage technology is not in place, burning just 20% of the gas which Cuadrilla claims to have found in its licence area in Lancashire would generate 15% of the UK's total CO2 allowance to 2050. And despite claims from gas lobbyists that shale gas will bring down energy bills, we know from Ofgem and DECC that recent energy bill rises resulted mainly from high gas prices. Analysis by Deutsche Bank concludes that the impact of shale on bills would actually be low. This report does not give the full picture, The government should reconsider its policy on shale gas so that we can make a genuinely green transition that will deliver both energy security and a cleaner environment. One reason I like her is that I agree, the UK has bundles of renewable energy potential and should be making use of it. But I don't think it's true that an increased supply of gas will displace our renewables sector. Burning hydrocarbons has always been (and still is) a lot cheaper and easier than renewable energy - it's why we've been doing it for so long and so effectively. Therefore, renewables are reliant on governmental initiatives, incentives, subsidies etc. So long as the government keeps these in place, then there will be space for renewables. In the meantime, if and when we decide to burn lots of gas (as we currently do) we could either get it from our own shale deposits, or we could get it cheaply from Russia and/or Qatar. Either way, it'll be cheaper than the renewables, but it won't eat up government subsidies. If we're going to burn gas (and we are, we really are), I'd much rather it was our own, rather than lining the pockets of that nice Mr. Putin, or those nice Bahrainian Princes we've had all over our TV screens during the recent F1 Grand Prix. In fact, we could use the billions of £s of tax raised on producing shale gas to fund renewable initiatives. If you're still worried that we're generating too much CO2, then increase your carbon tax, reduce your emissions quotas (or whatever other method you favour) and the first thing to close down will be the coal-fired power plants (which emit a lot more CO2 than gas fired power). And that's the key: managed properly (i.e., ensuring that the greenhouse-gas emissions reductions incentives that promote renewables remain in place), the main competitor for shale gas isn't renewables, it's coal. And nobody likes coal. Next, we come to one of the classic contradictions commonly made by anti-fracking types. On the one hand, Caroline argues that shale gas will fundamentally change our energy landscape, choking off the potential for renewables to break through, while at the same time 'the impact of shale on bills would actually be low'. You can't have your cake and eat it. If you think that the impact of shale gas won't be particularly significant anyway, you can't also claim that it's going to destroy our budding renewables industry. Finally, an I'll address a point that simply makes no sense to me; if 'recent energy bill rises resulted mainly from high gas prices' then surely a technology that increases gas supply (and therefore lowers gas prices) would help lower our energy bills?! The fact that a scientific committee thinks earth tremors can be reduced by using the right equipment does not mean fracking to obtain shale gas is acceptable. 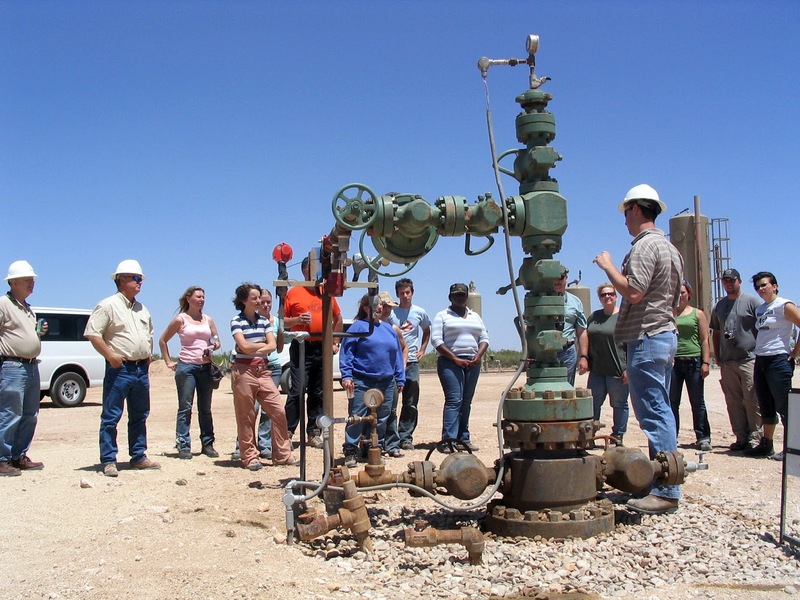 Fracking results in atmospheric releases of methane twice that found with conventional gas. Methane is a powerful greenhouse gas, seven times more potent than carbon dioxide over a 20-year time frame. For shale gas to be environmentally friendlier than other fossil fuels, methane emissions from fracking have to be kept below 2%. 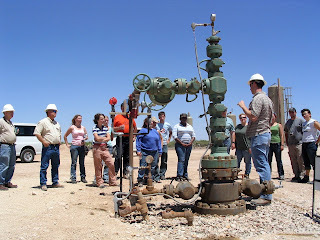 Current operations release around 10% and, in the US, the fossil fuel industry is strenuously resisting methane control legislation by the Environmental Protection Agency. Development of shale gas is impossible to reconcile with the low-carbon economy the planet so desperately needs. I think I've dealt with this issue already here. The figure used here (10%) is above even the upper estimate from the Howarth paper. As always, no mention of how widely panned this paper has been, just a bold assertion of fact. One of the most disquieting sentences in the fracking report said information on the chemicals involved in the process had been withheld "for commercial reasons". There are references (What's the truth about fracking?, G2, 18 April) to chemicals, and chemical lubricants (and to 75% of these remaining underground) but not to what the chemicals are. Part of the planning approval process for such extraction must include an environmental impact assessment – how can this be completed to the satisfaction of the public, or courts, if the nature of the chemicals involved is kept secret? How can public confidence be won if the companies say "you do not need to know, just trust us"? That trust does not exist, so Cuadrilla – what are you using? So, Martin Hemingway would like to know more about the chemicals used during fracking. Apparently they've been withheld. Martin is obviously a very lazy man (or maybe I'm just a brilliant hacker, but I doubt it). One click on the Cuadrilla website takes me to this page, which gives an overview of the fracking chemicals used. One more click takes you here, where each component of the fluid is listed in full. Unknown fracking chemicals, companies keeping secrets? Lazy pillock! The government report on "fracking" makes it sound as safe, economic, and environmentally friendly as nuclear power. No worries there, then. Can we compare fracking to the nuclear industry? More importantly, as a 'fracker' is that a comparison we'd like? After all, a lot of people who live near nuclear power plants are often in favour of them. The French in particular are quite fond of them, which is lucky for us because there are now parts of southern England that now get their electricity from French nuclear power. So long as you don't build your power stations on earthquake and tsunami-prone islands, or use Soviet-style technology, nuclear power generally seems to do ok at producing a lot of electricity for very little CO2 emissions, with very few incidences of contamination. I'm sure the writer is trying to be funny, but it's a silly letter really. Nigel Smith of the British Geological Survey is either very young or has an extremely short memory if he seriously believes that "we have just had 30 years of getting our gas from the North Sea [and] it's not caused any problems to anyone". The Elgin platform is still leaking gas, and threatening a major fire, after nearly four weeks, and is predicted to continue for several months, but at least no one has died. Earlier disasters entailed major loss of life. The pollution toll will not be known for some time. In 1988 Piper Alpha, in Norwegian waters but not much further from Scotland than the Elgin, exploded, causing 167 deaths. It was producing gas and oil. Earlier, the previous record-holder, the Alexander Kielland, simply turned over in 1980, killing 123. That was an oil rig, but the same fossil-fuel lessons hold. Previously, in the same Ekofisk field, a blowout in 1977 released some 120,000 barrels of oil. So, Mr Smith, perhaps it's time to look at genuine alternatives? It's true that there have been bad accidents in the North Sea in the past, particularly in the 70s and 80s. But Piper Alpha was in 1988, so while Nigel Smith is technically incorrect to say "we have just had 30 years of getting our gas from the North Sea [and] it's not caused any problems to anyone", he wouldn't have been far off had he said 25 years. In my view, the industry is pretty good at learning from its mistakes, and that safety record extending back for a quarter of a century is pretty good. The argument 'wouldn't it have been better if we hadn't bothered to develop North Sea oil and gas' wouldn't be likely to win much support beyond the hard-core green community. After all, North Sea oil and gas development is one of the central planks in Scotland's push for independence. If we could guarantee that shale gas development took a similar trajectory to North Sea oil/gas, I think the majority of the UK public would be in favour. Finally, I'd add that whatever the issues with respect to the North Sea, remember that the majority of shale gas development will be on land, which makes life a lot easier and safer when you have direct access to the ground surface, rather than being separated from it by several hundreds of metres of water. Nearly at the end now: the final letter. Thank you, dear reader, for pushing on this far. Firstly, a correction. The Youngstown earthquake was not caused by fracking. It was caused by geological disposal of flow-back water. When fracking is completed, the left-over fracking fluids must be disposed of. Sometimes this water is treated on the surface, sometimes companies will inject the water into deep-lying saline aquifers. It was this waste-fluid injection (and not fracking directly, as at Blackpool) that caused the quake. Again, I should stress that this was a very small earthquake, and it has happened once in several 1000 waste-water injection programs. 1. Water consumption. As above, although 3 million gallons sounds like a lot, it's represents 0.5% of the water lost by our water companies through leakage PER DAY! 2. Water contamination. The US EPA has documented one case of contamination (Pavilion, WY) in the thousands of fracked wells drilled across the US. As for the hundreds of scary secret chemicals, they're all readily available on Cuadrilla's website. 3. Climate change. I agree that we should be putting a lot on energy into developing renewable energy sources. But that doesn't mean that, if we're burning gas, it'd be better for our wallets, our tax man and for our geo-political security if we burned our own gas rather than Putin's gas or the Prince of Bahrain's gas. So, there you have it. A complete dissection of the Guardian letters page. Sorry it took so long, thanks for sticking with me. There's a lot of straw-men out there being attacked in the fracking debate that we're currently having. And yes, there is a place for genuine debate about fracking. But let's have it based on reality, not scare stories and myths.